Please join us on Saturday May 11th for an open house to all 4-H members, leaders and the youths' families, to our 4-H Track Day! The project fillies have been chosen, and photos have been received from Dayton and his yet unnamed filly. We anxiously await pictures from our other team, and will post as soon as they can send some. 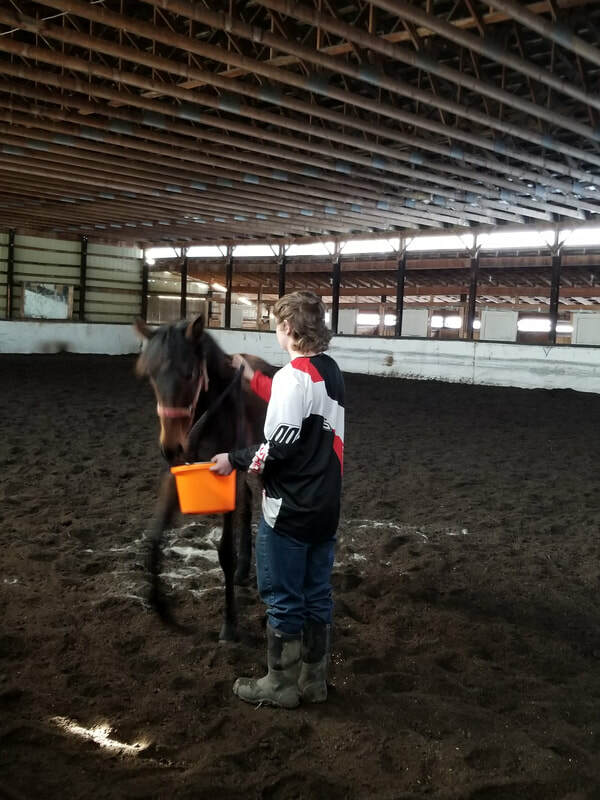 We welcome back Jenna and Dayton to the Standardbred 4-H Project. This month they will receive their weanlings, and begin bonding with their new charges. Once they have their new charges, we will follow their progress through photos and their reports....Stay tuned! The 4-H Standardbred Yearling Program coordinated by ASHA in a joint effort between Alberta Standardbred breeders and 4-H Alberta administer by the 4-H Section of Agriculture and Forestry. Successful applicants to the Standardbred 4-H Project will be matched with a Standardbred breeder in the Spring of 2019. The breeder and the member will arrange for a weanling to be delivered to the farm or acreage where the weanling will remain until the ASHA Yearling Sale is held in the fall of 2019 (September 8th). During the project period (5-6 months) the member will learn how to responsibly care for, feed, manage health requirements and the economics of raising a horse. Expenses, growth, and special conditions of the yearling, will be regularly reported, with open line of communication between the breeder and the member being encouraged throughout the project's duration. With this project, the members will gain valuable knowledge and expertise relating to raising a Standardbred yearling. The member will receive support, leadership, information and advice throughout the project. The Standardbred Project culminates at the 4-H member's Achievement Activity and then at the sale of the yearling at the ASHA Yearling Sale. Previous participants in this project have gone onto careers in support sectors such as veterinary medicine, retail sales, and day to day care of Standardbred horses. Many have become enthusiastic race fans and have kept a close eye on how the yearling they helped to raise progressed! Open to 4-H members who are 12 years of age or older and have completed Rider Level 3 Dismounted who have the permission of their parent(s) and a recommendation from their 4-H leader. Participants must be a member in good-standing of a 4-H club. Applications must demonstrate adequate stabling, feeding and grazing facilities. Applicants will be expected to have horse experience, knowledge and adult assistance. 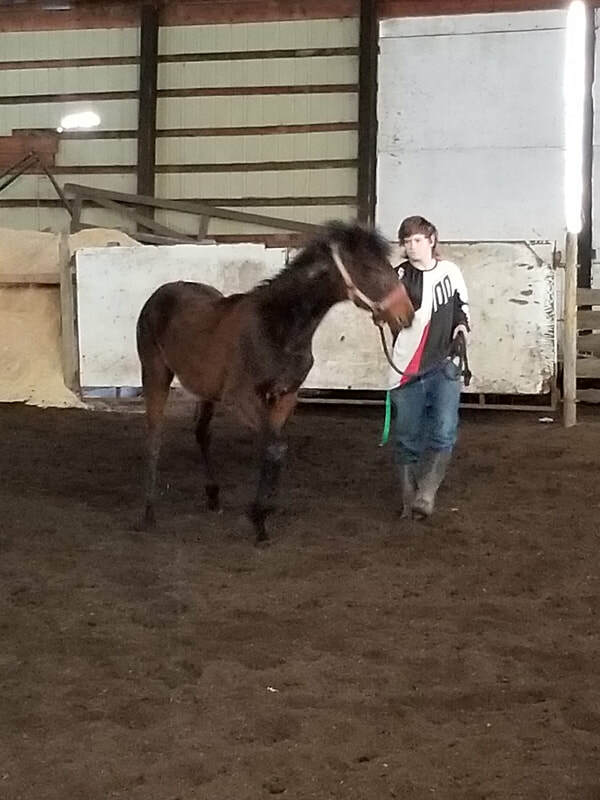 4-H Standardbred Yearling Program coordinated by ASHA is a joint effort between Alberta Standardbred breedersand 4-H Alberta administered by the 4-H branch of Agriculture and Forestry. 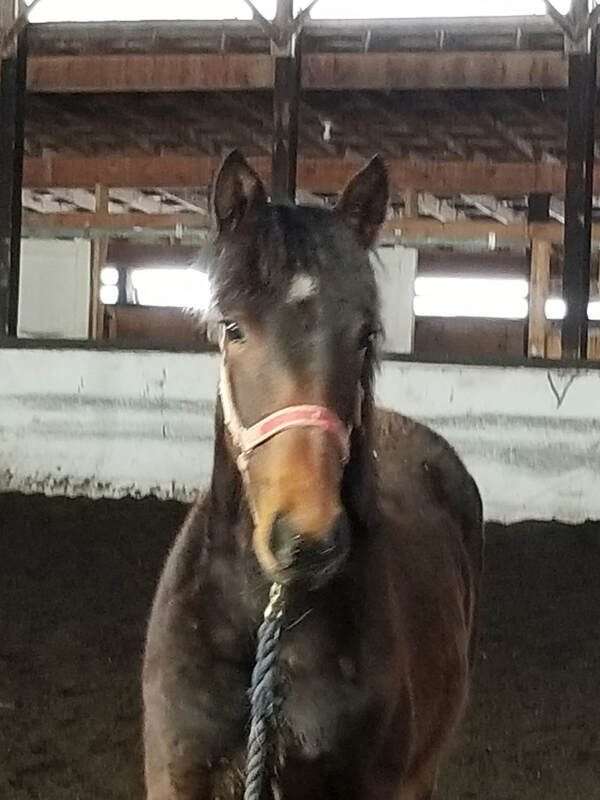 Successful applicants to the Standardbred 4-H Project are matched with a Standardbred breeder in the spring .The breeder and the member will arrange for a weanling to be delivered to the farm or acreage where the weanling will remain until the ASHA Yearling Sale is held early the next fall . will be regularly reported, with an open line of communication between the breeder and the member being encouraged throughout the project’s duration. With this project,the members will gain valuable knowledge and expertise relating to raising a Standardbred yearling. The member will receive support, leadership, information and advice throughout the project. The Standardbred Project culminates at the 4-H member's Achievement Activity and then at the sale of the yearling at the ASHA Yearling Sale.